BLOOMINGTON, Minn. – Jan. 15, 2019 – Following Week 15 of the 2018-19 season, the women's Western Collegiate Hockey Association (WCHA) is proud to recognize four student-athletes as the WCHA Players of the Week, Powered by GoodWood Hockey. The honorees for games of Jan. 11-12 are: Bemidji State University sophomore Lydia Passolt (Forward), The Ohio State University freshmen Sophie Jaques (Defenseman) and Andrea Braendli (Goaltender) and Minnesota freshman forward Taylor Heise (Rookie). Passolt posted three points off of two goals and one assist to help the Beavers split its home series with Minnesota Duluth. The sophomore tied for third in the league for points and tied for the league lead in goals with two. Passolt started the weekend with two goals, including the game-winner in Friday's 4-1 win. The Chanhassen, Minn., native tied for the league lead by going +4 and had six shots on goal. Honorable Mention: Taylor Heise, F., Minnesota (tied for the WCHA scoring lead on the weekend with four points on four assists in Minnesota's road sweep of Minnesota State); Brooke Bryant, Fr., Minnesota State (recorded two of Minnesota State's four goals against No. 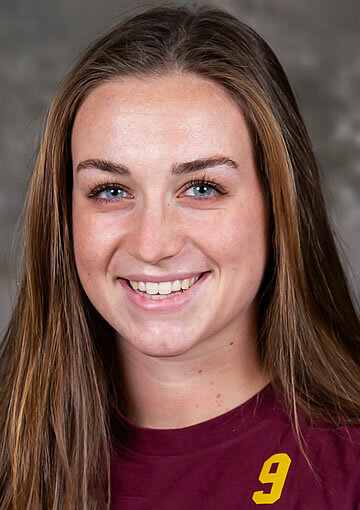 2 Minnesota on the weekend and contributed to an MSU penalty kill that killed four of six Gopher power plays); Emma Maltais, So., Ohio State (recorded a goal and an assist in the Buckeyes' split with No. 1 Wisconsin, the assist came on OSU's lone goal in its 1-0 win over the Badgers on Friday night); Britta Curl, Fr., Wisconsin (recorded a career-high three points on two goals and a helper and finished the weekend +2 with seven shots on goal as the Badgers split with Ohio State). Ohio State freshman defenseman Sophie Jaques shined under the pressure of facing the top team in the country, finishing the weekend with a team-high three points as the Buckeyes split with No. 1 Wisconsin. The Toronto, Ontario, native assisted on the lone goal in Friday's 1-0 shutout win over the Badgers, and followed that with a goal and an assist in Saturday's finale. Jaques also blocked four shots to help secure the shutout win on Friday. Honorable Mention: Briana Jorde, Jr., Bemidji State (recorded a goal and a pair of blocked shots in the Beavers' split with Minnesota Duluth); Patti Marshall, Jr., Minnesota (picked up two points on a goal and an assist and finished at +4 with four shots on goal and a blocked shot in the Gophers' road sweep of Minnesota Duluth); Megan Hinze, Sr., Minnesota State (posted two assists in State's 6-3 loss to Minnesota and finished the series with nine blocked shots and one shot on goal). Ohio State freshman Andrea Braendli had the game of her young career on Friday, notching a 32-save shutout against No. 1 Wisconsin as the Buckeyes knocked off the Badgers, 1-0. The freshman made some amazing stops late in the third to secure the shutout, her third of the season, and give the Buckeyes a win over the top ranked Badgers. In two starts on the weekend, the Zurich, Switzerland, native stopped 72-of-77 shots with a 2.50 GAA and a .935 save percentage against the nation's top team. 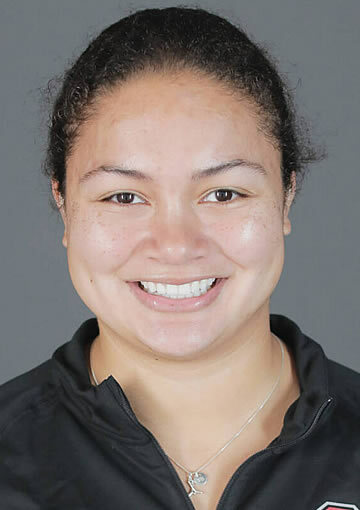 Honorable Mention: Alex Gulstene, So., Minnesota (stopped 18-of-19 shots in the Gophers' 5-1 win at Minnesota State on Friday to up her season record to 15-0-0); Abigail Levy, Fr., Minnesota State (stopped 56 shots over Minnesota State's two games against No. 2 Minnesota); Kristen Campbell, Jr., Wisconsin (stopped 31-of-34 shots against No. 7 Ohio State to help the Badgers earn a road split with the Buckeyes). Minnesota's Taylor Heise tied for the weekend scoring lead among all WCHA players with four points in the Gophers' road sweep of Minnesota State with a pair of assists in each game. In Minnesota's 5-1 win, Heise set up the Gophers' first two goals, including Emily Oden's gamewinner. Game two saw Heise tally assists on Minnesota's third and fifth goals, including an assist on Grace Zumwinkle's power-play goal to put the Gophers up 5-2. Among all WCHA players, Heise led the way with four assists, 2.00 assists per game, 2.00 points per game, and one power-play assist. She ranked seventh with a .571 face-off winning percentage. Her +3 rating was tied for fifth. Among WCHA rookies, Heise led the way with four assists, four points, 2.00 assists per game, 2.00 points per game, one power-play assist, a plus-three rating, and a .571 face-off win percentage. Heise now has 12 points on four goals and eight assists) during a team-best six-game point streak. Integral to Minnesota's special teams, Heise helped the Gophers' power play lead the league at .333 (2-for-6) over the weekend; Minnesota also had the WCHA's second-best penalty kill at .833 (5-for-6) in two games. 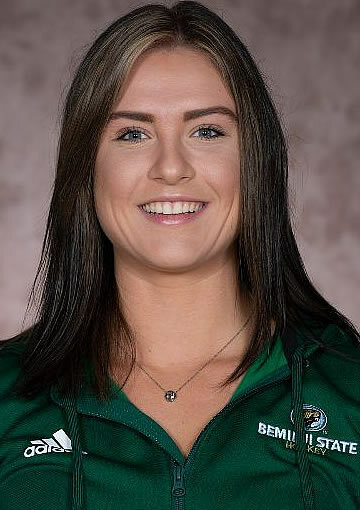 Honorable Mention: Ellie Moser, F, Bemidji State (recorded a goal and an assist and was +3 with three shots on goal in the Beavers' home split with Minnesota Duluth); Brooke Bryant, F, Minnesota State (picked up two goals on nine shots on goal and blocked two shots against No. 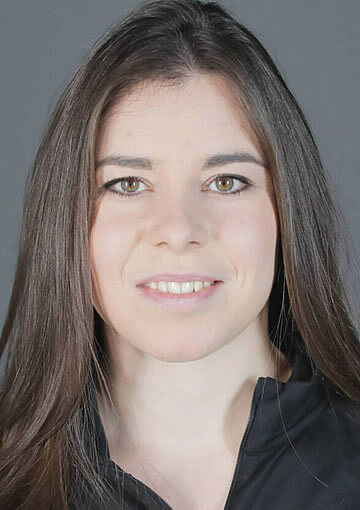 2 Minnesota); Andrea Braendli, G, Ohio State (notched a 1-0 shutout win over No. 1 Wisconsin on Friday, stopping 32 Badger shots in the victory).